Business has evolved! No longer are entrepreneurs, business owners, project managers and freelancers chained to their desks! Savvy business people around the globe have discovered the freedom of working from anywhere and everywhere! Minterapp.com is an online app that tracks time, tracks and creates invoices, quotes and estimates and detailed reports with a click of the mouse. Never has it been so easy and effective to track projects. The online time sheet gives you complete insight into where your time and money is going. You can easily control issues before they become problems. You can streamline payments and tag invoices. It is like having an accounting pro, billing clerk and virtual assistant in your pocket. You are not limited to 9-5 – pouring over details that may have been forgotten from the week’s business calls. Minterapp.com is offering a free trial of one of their most popular plans. Further, all users who use the coupon code “WEBAPPERS” will get an extended trial period. But it gets even better. Minterapp is giving away six months of the top-of-the-line Enterprise Plan Packages to THREE lucky winners! All you have to do is post a comment below this post. That’s it; you are entered. Entries must be received by June 6, 2015 to qualify. The Enterprise Plan Package encompasses all the standard and premium features available. With the Enterprise Plan Package, you can have unlimited users. You can have unlimited clients. You have full Enterprise support. This is in addition to the unlimited projects, invoicing and tracking already offered to all customers. The value of each of these prize packages is $359.70. ($59.95 per month X 6 months) And for three lucky clients these will be provided zero cost to them! For six months, maximize profits. For half a year, discover where profits are leaking. For six months, run your business with the freedom you have always wanted. Take full advantage of technology made available by the best professionals in the industry. It just doesn’t get any better! 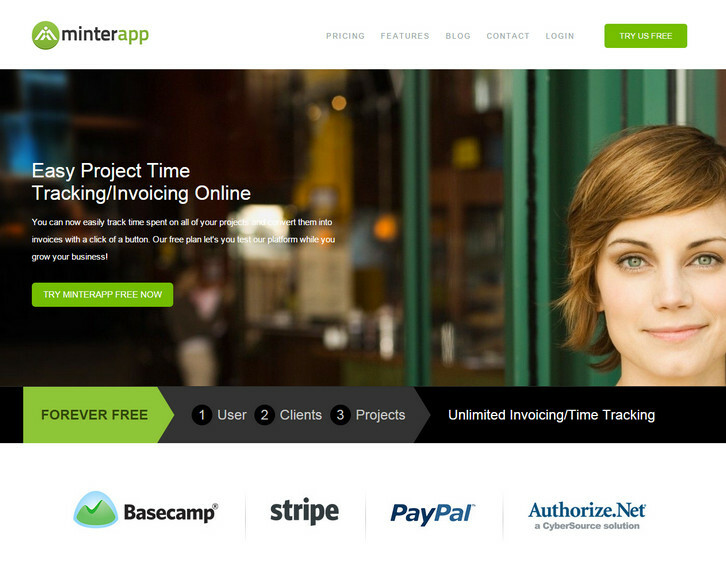 More than 2000 companies have incorporated Minterapp into their businesses with great success. Remember, even if you are not a winner of the contest, you will still get a free trial from Minterapp.com to try out this sensational online tracking program. And the coupon code “WEBAPPERS” will extend that trial. You have nothing to lose and everything to gain. It will cost you nothing to find out how much more effective you and your team can be. Once you apply these solid business practices into effect in your business, you will never go back to the old fashion, time consuming way of doing things. Cool! A very interesting app. Would love to win this time tracking tool! Think my clients would really love this tool. Love this site, keep it up! Hey I Won! Did not know. How to claim this prize? Minterapp should have sent you an email to claim the prize.